With the kids going back to school soon it’s time to think about stocking up on the essentials. Vosene Kids 3in1 Conditioning Shampoo and Conditioning Defence Spray work together to clean, condition and detangle your child’s hair, as well as containing natural ingredients to help prevent head lice. Say hello to happy hair for them and a less stressful morning for you! 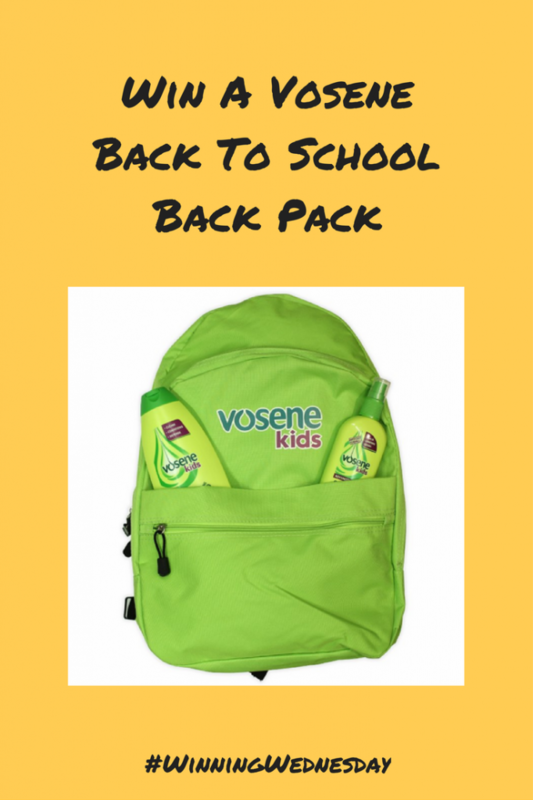 We have one Vosene Kids Back to School Back Pack to give away including – Vosene Kids 3in1 Conditioning Shampoo and Defence Spray, Ruck Sack, Pencil Case and £10 Tesco Voucher. Vosene Kids 3in1 Conditioning Shampoo (RRP £2.54, 250ml) and Vosene Kids Conditioning Defence Spray (RRP £2.54, 150ml) are found in the children’s shampoo aisles in high street supermarkets and chemists. For more information and advice on keeping kids hair healthy visit www.vosene.co.uk/nitwatch. To enter follow the instructions in the widget below. If you have a giveaway ending in August or September leave a link in the linky below and we will share it every #winningwednesday with on our social media accounts and pin on Pinterest. 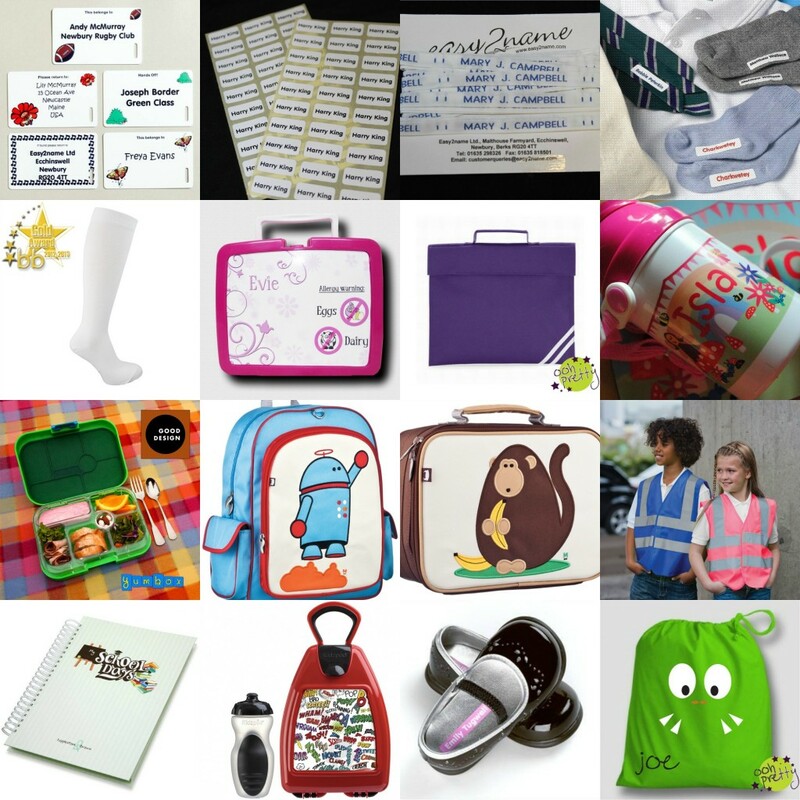 The children are back at school soon and before you know it your days will be filled with homework, lunches and after school clubs. It can be hard to keep up with it all so we have designed this weekly school schedule for you. Print it off weekly or if you have a laminater just one copy that you can wipe off each week. 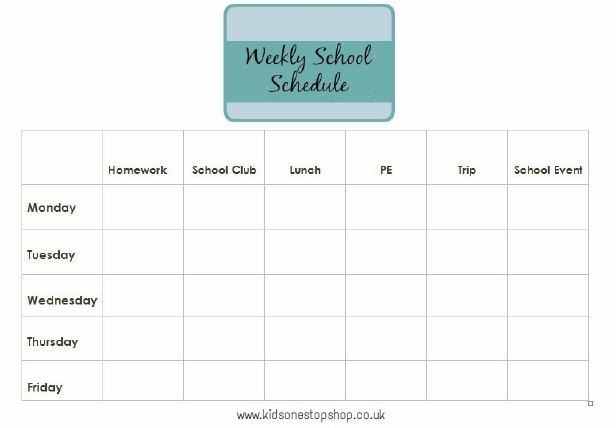 There is space for homework, PE, lunches (my daughter is having a mixture of hot dinners and pack lunches), after school clubs, trips and any other school events. We really hope this is helpful and keeps you organised! It’s not long now until the children are back at school. Have you got everything you need? Don’t worry Kids One Stop Shop have you covered!